You'll discover tucked-away gems like Fenals Beach and Via Ferrata Cala del Moli. Visit El Barri Gòtic and Casa Batllo for their historical value. 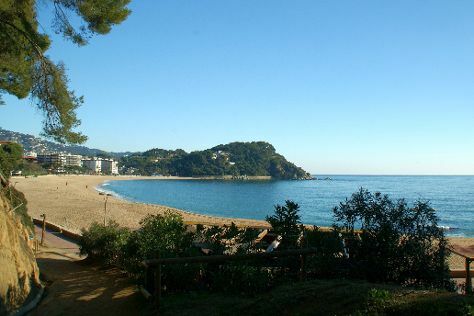 You'll find plenty of places to visit near Barcelona: Tossa de Mar (Vila Vella (Old Town) & Cala Futadera), La Playa de Sitges (in Sitges) and Comarca Aventura (in Arenys de Munt). The adventure continues: trek along Bufadors de Bevi, explore the landscape on two wheels at Eitzinger Sports Bike Rent and Tours and Shop, head outdoors with X-wave cambrils FlyBoard, and ride a horse along Centre Hipic Bonastre. To see photos, reviews, ratings, and more tourist information, read Barcelona trip itinerary maker app . If you are flying in from Brazil, the closest major airports are Barcelona International Airport, Girona Airport and Reus Air Base. In April, daily temperatures in Barcelona can reach 22°C, while at night they dip to 13°C. Finish your sightseeing early on the 9th (Tue) to allow enough time to travel back home.